← Colin Firth is Going to Kick ARSE in Kingsman: The Secret Service! 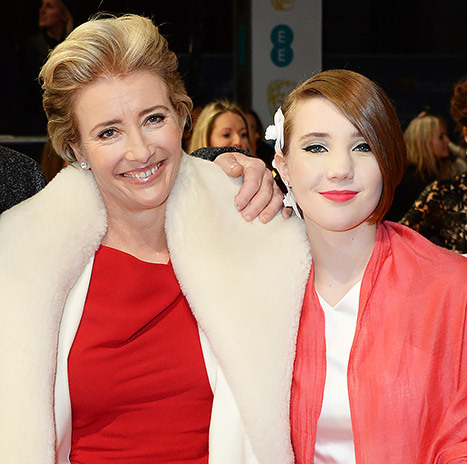 Ohh boy, did Emma Thompson start social media frenzy with her recent comment about working moms and motherhood. If Emma Thompson had her way the world would have no need of a Mary Poppins or Nanny McPhee. The Saving Mr. Banks star recently took a year off from ‘the biz’ to spend time with her 14-year old daughter, Gaia Wise just to be “a mum” but apparently she made a statement that ruffled some working-mums feathers. “You can’t be a great mum and keep working all the time…” Emma recently said in an interview, but also added…mums should take the time off….”if they can afford it…” She did say it. I read it. But still many are saying the actress, worth a reported 50 million, can afford to take this kind of time off…a luxury not afforded to a majority of the world’s working moms. Note: she said “if they can afford it”. But it’s no wonder Ms Thompson needed (at the very least) a year off…what, with all the film projects, a Broadway show, press tours, red carpets, award ceremonies she’s attended in the last year alone….if a mom has THIS kind of schedule…yeah, something’s going to give at home. It’s not an easy life to juggle. Receiving her hand/footprints in cement at the Chinese Theatre in Hollywood…just one of many accolades, events and projects Emma has juggled this year. 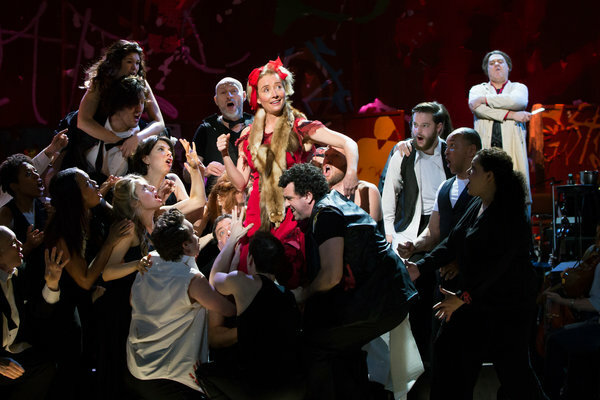 Emma appeared in a limited run of Sweeney Todd, in a year that included three movies, many award shows, press tours and red carpets…I’d need five years off after this schedule! Being a mom myself…I can understand what she was trying to say in her comment about not being a great mum if you’re working ALL THE TIME. I think many moms might agree…something does suffer when you have to work full time. Working parents always feel guilty if they can’t attend their child’s school play, or be there for the annual carnival or jog-a-thon…because they HAVE to work. It’s a tough juggle. That’s not to say that you can’t be a great mom AND work, however, because you can. Many moms choose to continue their careers after having children and I think that’s admirable as well! There is no “perfect recipe” for juggling parenthood and work. It’s a family affair on the red carpet…or bring the kids to work day! Maybe everyone just misunderstood Ms. Thompson’s meaning….something that can easily happen in a printed ‘quote’ or 160-character Tweet. I think I’ll give Emma a ring and invite her to tea so we mums can chat about motherhood and other equally important issues like…what it was like to work with Alan Rickman (multiple times). What do you think about what Emma said? Let us know below! This entry was posted in Home Page Posts, Lady Anglophile Reviews & Other Bits and Bobs and tagged Emma Thompson, Saving Mr. Banks. Bookmark the permalink. The article said she taught drama during that time at her daughter’s school. I think it is about spending quality time with your children no matter your circumstances. Emma Thompson – comment être une maman et travailler – yep, Emma, ça le fait!